Many adults find yoga to be the ideal exercise helping to build strength, tone muscles, improve balance and coordination, and increase a sense of calm and well being. While yoga certainly has a lot to offer for adult participants, many kids are now enjoying the same benefits, making yoga one of the fastest growing trends in exercise for kids and teens. One of the biggest advantages that yoga has over some other types of activities is its emotionally and spiritually based nature, teaching kids to find focus and a sense of calm from within themselves. Today’s kids are often hurried and overscheduled, which can result in feelings of stress and anxiety. The practice of yoga can help kids and teens to seek an overall balance in their lives, understanding that relaxation is important for stress management, as well as overall good health. Self-esteem and body issues are common amongst older kids and teens, but those who practice yoga are often ahead of their peers in understanding that true self-worth does not come from outside sources, but is instead derived from appreciating your own unique gifts. While most any type of physical activity can improve physical health, yoga is known to offer specific emotional benefits as well. 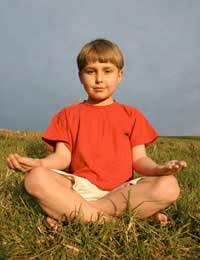 Parents who practice yoga can introduce the exercises to their children from the time that they are babies. There are a number of DVDs on the market today that show parents how to create a relaxed atmosphere conducive to a positive yoga experience and movements that they can put their babies through to get them ready for further yoga instruction as they grow. This “pre-yoga” trend is evidence that many parents today are impressed with the benefits that yoga provides and want their children to enjoy all that yoga has to offer. Many communities have fitness centres and yoga classes are increasingly popular choices for adults as well as children. In some areas, classes are available for preschoolers, kids, teens, and even for families to join together. It is important that yoga instructors, especially those who deal with young children, are sensitive to each child’s physical capabilities and emotional development. Parents should also inquire as to the spiritual nature of the classes; some instructors take a strong religious stance, while others offer no particular religious slant, instead focusing simply on the movements and breathing. Where group instruction is hard to find, individual instructors may still be available and if all else fails, parents can always shop from the many instructional videos on the market today. Yoga videos are available for people of all ages and capabilities; there are even instructional yoga videos geared toward pregnant women, giving their babies the earliest possible start in yoga! In addition to the self-worth awareness and increased sense of emotional calm mentioned above, yoga can provide kids with a great physical workout. Basic moves increase coordination and balance, while more advanced practices can offer physically demanding exercises that build strength and stamina. Proper yoga breathing techniques can increase lung capacity and offer relaxation techniques that kids can utilise whenever they are feeling stressed or overwhelmed. For asthmatic kids, the breath control that comes with yoga practice can help them to avoid panicking during an attack, which can make breathing even more laboured. Additionally, regular yoga practice can improve posture and stretch the chest muscles, improve round shoulders common to asthmatics, and strengthen abdominals, all of which can support healthy lung capacity. Improved breathing is a benefit for all children, whether asthmatic or not, as is the development of a strong body, strong mind, and feelings of self-confidence.